» Send Enquiry to Aerocom Automotives Pvt.ltd. Retailers, suppliers and exporters of abrasive sleeves, abrasive flap wheels, grinding abrasives, polishing abrasives, finishing abrasives along with diamond tools, diamond grinding tools, industrial abrasives, abrasive flap discs, abrasive belts, abrasive brushes, abrasive fix holders, finishing abrasives, cutting abrasives and grinding abrasives. 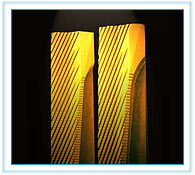 Manufacturers of abrasive and allied items. Black Riders Advertising Pvt. Ltd. introduce itself as an Advertising, Marketing, Event Management, Brand Promotions, Exhibitions & Brand Management Company dedicated to offering intelligent concepts & innovative ideas for BTL solution Pan India. Services Regards To Brand Promotions :- Managing Mobile Hoarding Display Vans, Outdoor Media, Advertising Mobile Vans, Mobile Cabs Static Hoardings, Marketing Services, Road Shows, Mall Promotions, Market Activations, RWA Activities, In-Shop Activities, Mobile Canter Activities, Corporate Events Pan India. For details kindly log on to group website www.blackriders.co.in or call 09910014104. Black Riders Advertising Pvt. Ltd. New Delhi ( INDIA ) E-Mail : infoblackriders@gmail.com Explore : www.blackriders.co.in Info Line : 09910014104.